Scientists can’t be everywhere all the time, which means that our efforts tend to be concentrated in certain places for a whole range of mundane historical and practical reasons. But what does this patchy research distribution mean for our understanding of the environment? In this paper we decided to try and find out for one major world region – the terrestrial Arctic. This paper originated from discussions which must have been had by most researchers at large field stations at some point or another. How much does research from our field station contribute to the global state of knowledge and what are we missing? During my PhD and postdoc years I had mainly worked at very small, little known field stations. So, for me, this question only popped into my head on one of my first visits to a major research station, which happened to be located in the Arctic. I was driving from the airport to the field station and I felt like I was in a fairly remote and wild outpost, when I saw a middle aged man get off a bus struggling with an oversized suitcase. Completely unremarkable in itself, until I realized after a few minutes that the man was an internationally famous ecologist whose papers I had read many times. Over the next few days, this kind of experience repeated itself- I put faces to many people I had only known as names on papers as they waited in queues in the supermarket, over drinks at the bar, whilst washing dishes in the canteen or doing their laundry at the field station. This strange island of internationally renowned scientists in one fairly random and remote location was a novel experience for me. 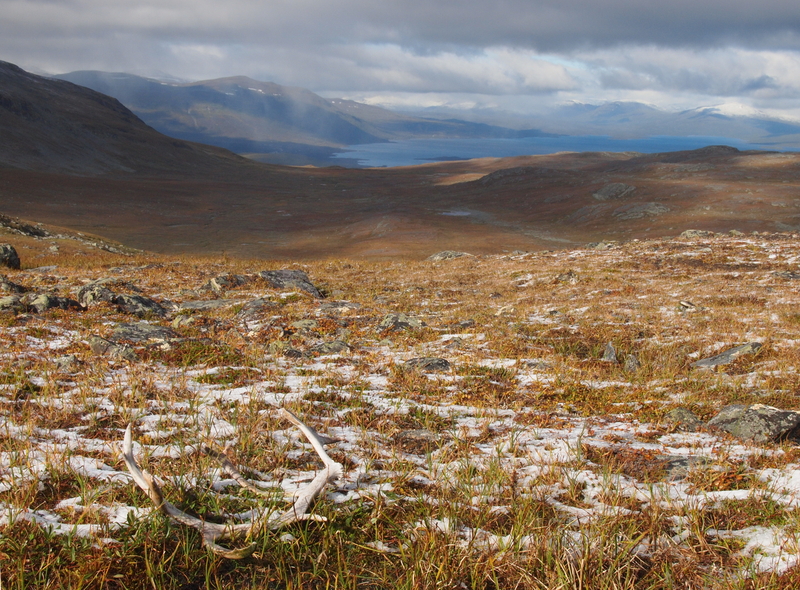 View over the Abisko valley and Torneträsk lake (Abisko, Sweden, 68.3 oN). So I decided out of pure curiosity to try to get some estimate of the contribution of the field site to global Arctic research. At this point I had no knowledge of pre-existing literature on research distributions, but I had come across a preliminary analysis of research distribution across the tropics which pointed the way. I envisioned some kind of huge meta-analysis, utilizing keyword searches in literature databases complemented with bibliographies available from field stations and reference lists from major reviews to fill gaps and maximize coverage. But I soon realized that I had to stick to a simple keyword search with the broadest possible terms, otherwise I would effectively be more intensively sampling literature from major field stations (which are the one which tend to have websites, and organized bibliographies, and tend to be featured most heavily in major literature reviews), which would be an embarrassing error in a paper about sampling biases! From the keyword search, I downloaded a massive list of papers then enlisted a small army of friends and associates who kindly accepted (well….there was mild grumbling in some quarters) the mind-numbing task of combing through the papers assessing their relevance and extracting various types of information. I found others who could help me with the necessary mapping and geo-statistical tasks. I have never written a paper before where I had such a clear idea from the outset of the type of output and figures I wanted to present, but almost none of the analytical skills necessary to get us there! So the paper in the end would never have got anywhere without a huge amount of sharing of time, skills and interests among a large group of already very busy people kind enough to indulge my mad side-project. I hope the results and conclusions don’t come across as mean spirited or critical of the huge amount of excellent science performed at Arctic research hubs. Clearly this work should continue, but hopefully our paper will stimulate, firstly, more awareness of how the environment around each site is typical or atypical for the Arctic as a whole, and secondly, greater efforts to include existing and planned research from often overlooked areas of the Arctic.